We just rang in 2015 and with a New Year comes the chance to develop a new YOU! Here on Mommy's Favorite Things we have a $50 Certificate to Albion Fit! Albion has lots of wonderful fitness and swim items! Albion's mission is to provide women with the most luxurious, flattering, and hassle-free fitness and leisure apparel on the market. They are also committed to the environment and community by striving to make the manufacturing facilities greener each day by recycling and using earth friendly materials. They follow fair labor practices as well. And they are a local, family-owned company! Which makes them that much more amazing. At the top of Little Cottonwood Canyon in Utah! Sounds like a great company to order from right? They offer vintage swimsuits, tops, bottoms and kids items! One reader has the chance to win a $50 Albion Fit Gift Certificate! 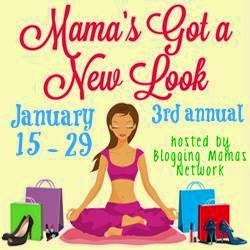 So Easy Being Green, Viva Veltoro, the Blogging Mamas Network, and the Mama’s Got a New Look participating bloggers are not responsible for sponsors who do not fulfill prize obligations. If I were lucky enough to win the Albion Fit $50 Certificate I would buy the Heather Blue Unwind Pullover Crop. I like this Pullover because it looks so comfortable and it would go well with workout cloths are if you just hanging out. Oh my! Soooo many cute items to choose from, however I am in need of more work out bottoms and Mom pants LOL so I really am liking their "At Ease" bottoms! I love the In the Know Lounger pants! I love the GO CAPRI, BLACK. They have many beautiful items. id love the sweet stripe ballet wrap! so pretty! If I was the lucky winner, I would maybe get the TUXEDO CAPRI, MIDNIGHT!!! I love the Love Racer, Orange and the Illusion Capri's in charcoal. I might get a couple of their More Than It Seams Bras in Black. I might get the Go Long Crew with thumb-holes in Ivory. I like Love Racer, Plum t-shirt. I would choose the Love Racer in neon pink! I'd get the more than it seems bra! I might get the blousy suit top and bottom in emerald green. I like the ANTIGUA EXTEND, COBALT compression pants. La Petite Showstopper suit for my daughter. I would get the go long crew in mint. I would love to have the PETAL PANT-ICY PINK/GREY! These are just too cute! I love the style!!! I would get some high waisted bottoms with a pinup bikini top! Love all the different colors and designs! I really like the tunic hoodies! I think I'd get the Flatter Me, Navy Zip Hoodie. The At Ease bottoms look comfortable! i want it all!! the TUXEDO CAPRI, MIDNIGHT are pretty rad. I like the Go capris in Antigua. I'd get the ADVANTAGE PEPLUM SKIRT -- BLACK. Thanks. I would get the go capri in turquoise! I'd love to get the Flatter Me wine hoodie! I like the Go Long Crew with thumbholes! I like the Swim Slim Skirt, it's cute and could be worn with any type of swim top. I might choose the high waisted bikini bottoms in black. I've been looking and i am in love with the Antigua leggings. I love you blog! The Je'Taime Paris kid's swimsuit is so cute, I would probably get that for my daughter! Oh my gosh, the venice suit!!! Albion's things are so cute! I'd have to get the Go Capri in Antigua. Love them! I love the antigua leggings! I would get the Gown Suit in Poppy! I love the Gidget Swimsuit! I love the Midnight DipSwimsuit. I'd love to get the ALTA TUNIC HOODIE, BALLET PINK! I'd put it towards the UNWIND PULLOVER CROP, HEATHER BLUE. The In the know pants look so comfy. Thank you. I would love to get the Flatter Me Hoodie in Wine. I like the On the Go Crimson Hoodie. I think I'd really like the Go Capri in Cobalt. The Summit Half-Zip top is just my style too. Albion has so many lovely things, it's hard to choose, but for $50, I'd probably choose the Antigua Bra. Pretty, and useful, too. I would want to win the gold leggings! How awesome! I absolutely love the cat's meow suit! I would get the flatter me, colblt zip hoodie, because blue is my favorite color and I like the rooshing near the zipper. I love the On the GO Go, Crimson Hoodie. I like the BLACK DIAMOND PANT. I would choose the Je t'aime, Paris! Swimsuit for my granddaughter. I love the Signature Hoodie, Crimson! Very cute! I would buy the in the know pants. THE SWEET STRIPE FULL ZIP, MINT is so cute love to wear one. I like the Icon Swimsuit in Popppy. In the know pants caught my attention. Love how they fit and a little loose too. I would buy the go capris in black! There are a lot of things I'm very interested in though! I would get the at ease bottoms in heather grey. It's great that they have pockets. I would love either the at ease bottoms or the flatter me wine hoodie! I like the BASEBALL TEE, IVORY/POOL. I love the More Than it Seams bras. I think I would get the Alta Tunic Hoodie, Heather Grey! I would love to get the GO LONG CREW WITH THUMB-HOLES, BALLET PINK. I would likely choose the LOVE RACER, MINT or something similar. I love the Alta Tunic Hoodie, Ballet Pink from Albion. I would get the TEMPO TEE, CORAL. They're such a simple thing, but I can't get enough of baseball shirts -- I really like the one in Ivory/Nectarine. I might choose the BREATHE FREELY TANK -- PLUM. I might choose the Sweet Slunber, PJ Shorts. I would buy the Venice Beach Swimsuit.